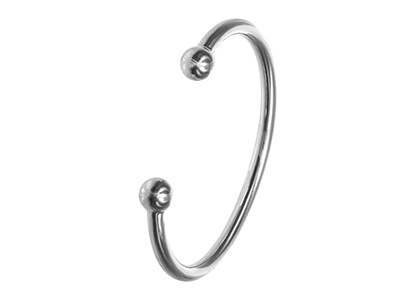 This classic gentleman’s torque style bangle, is crafted from solid hallmarked 925 real silver and has a beautiful polished finish. An elegant sturdy design that has stood the test of time. A great gift for a birthday, anniversary, or just to show him how much you care. Inside diameter approximately 68.9mm x 48mm, 5mm round wire with 10mm spheres.